What insight can you guys give for systems? It’s just PS4 and Xbox One right now, right? Is it a window? Is it going to be coming to other systems? All of our focus was on PS4 and Xbox One. The other stuff, we wanted to get this game out so this is the important thing. We got this into people’s hands. The rest of it, that’s Activision stuff that we aren’t as privy to. Okay, gotcha. But technically it could run on a Switch I’d imagine – that you had that in mind while designing it. I have yet to even see it tried, but maybe. Spyro Reignited Trilogy has been rumored for Switch throughout the year. The Nintendo UK store listed the game back in April, followed by the collection’s UK site having Nintendo’s console down as a platform option. However, there has yet to be any sort of announcement from Activision. 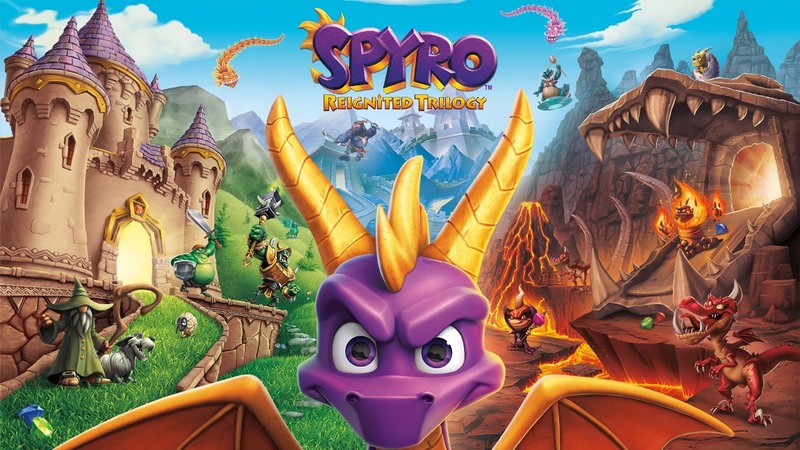 Could Spyro Reignited Trilogy eventually follow a similar path as Crash Bandicoot N. Sane Trilogy? While that collection didn’t make it to Switch initially, Activision would end up bringing it over a year later.